The HP Virtual Connect 8Gb 20-port Fibre Channel Module for c-Class BladeSystem offers enhanced virtual connect capabilities, allowing up to 128 virtual machines running on the same physical server to access separate storage resources. Provisioned storage resource is associated directly to a specific virtual machine—even if the virtual server is re-allocated within the BladeSystem. Storage management of virtual machines is no longer limited by single, physical HBA on a server blade. SAN administrators can now manage virtual HBAs with the same methods and viewpoint of physical HBAs. Virtual Connect 8Gb 20-port Fibre Channel Module is the simplest, most flexible connection to your SAN fabrics. The HP Virtual Connect 8Gb 20-port Fibre Channel Module unravels server connections by cleanly separating the server enclosure from SAN, makes SAN fabrics easier to layout by reducing cables without adding switches to the domain, and allows you to change servers in just minutes, not days. - Ease of Operations and Deployment. 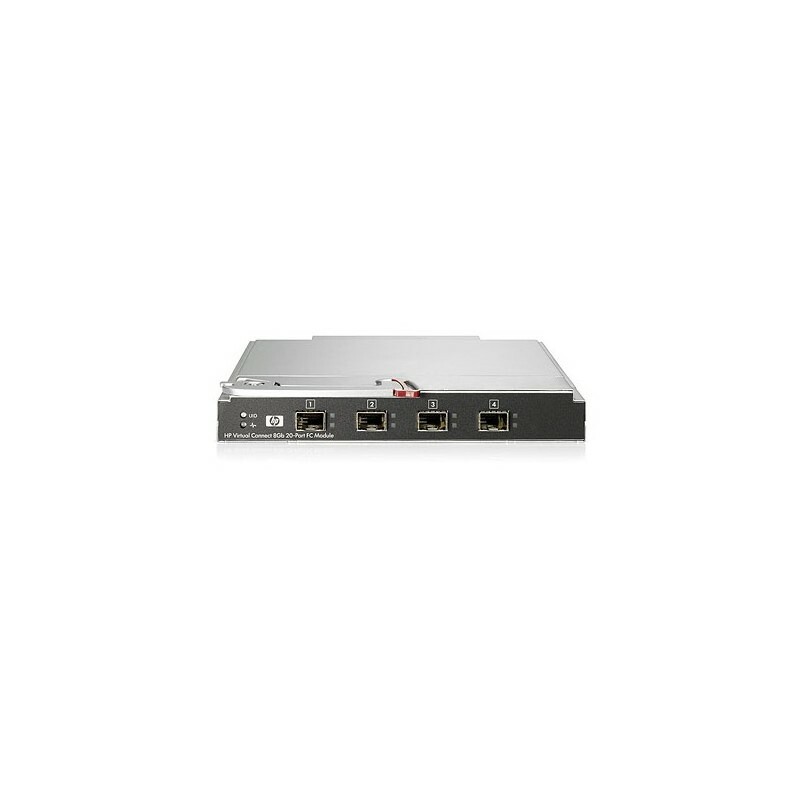 - HP Virtual Connect 8Gb 20-port Fibre Channel Module for c-Class BladeSystem is compatible with all NPIV capable switches and requires minimal management to deploy. 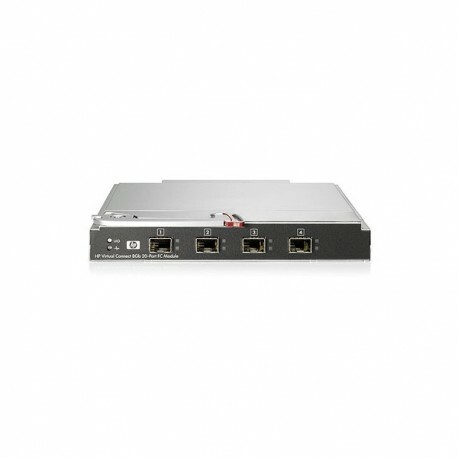 HP Virtual Connect 8Gb 20-port Fibre Channel Module for c-Class BladeSystem appears as a pass-through device to the network and removes all interoperability concerns and complicated switch management. - Enterprise class performance and availability. - The Virtual Connect 20-Port Fibre Channel module combines the simplicity of a pass-through module with the high performance of a 8Gb switch. Maximum uptime with dual modules and automatic fail-over. Full any-to-any server to storage mappings for complete fail-over capability across server blades and hot sparing. Intelligent Uplink allocation optimizes mappings of Server Side NPIV assignments and provides automated fail-over protection. Backward compatibility and investment protection. - No extra software needed for module configuration and security via the embedded Virtual Connect Manager on the Ethernet module. Role base account administration.